Typical Open House Times are 2pm-5pm. They may start or end earlier for selected open houses. Semonin Realtors show you how easy buying a home can be. INTEREST RATES ARE HISTORALLY LOW! COME ON OUT THIS SATURDAY OR SUNDAY!! Visit a Semonin open house this Weekend. 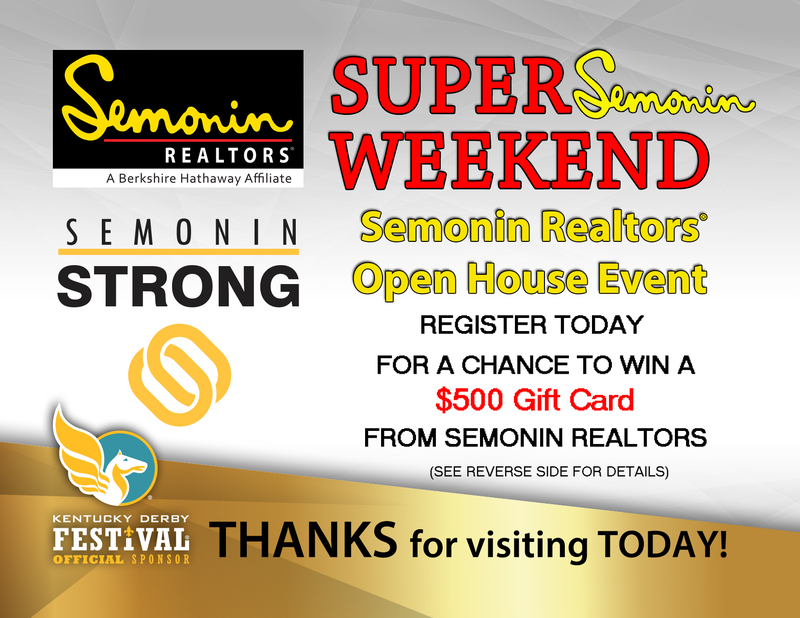 Semonin Realtors ® selects one weekend a month that we call a Super Semonin Weekend. 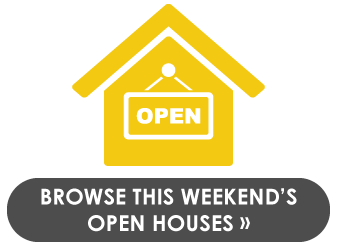 It is a weekend we focus upon as a company to hold as many open houses as possible. We encourage visitors to register for a drawing to win your choice of a $500 Gift Card to Lowe's, Kroger or Target! Keep reading to see how. On APRIL 26-28 when you visit a Semonin open house with a participating Semonin agent you will have the opportunity to register for a chance to win your choice of a $500 Gift Card to Lowe's, Kroger or Target! You may visit more than one Semonin open house and register at each participating open house. Feel free to visit several Semonin open houses and register at each one. The registration card below is what you will use to register at open houses on Saturday and Sunday. 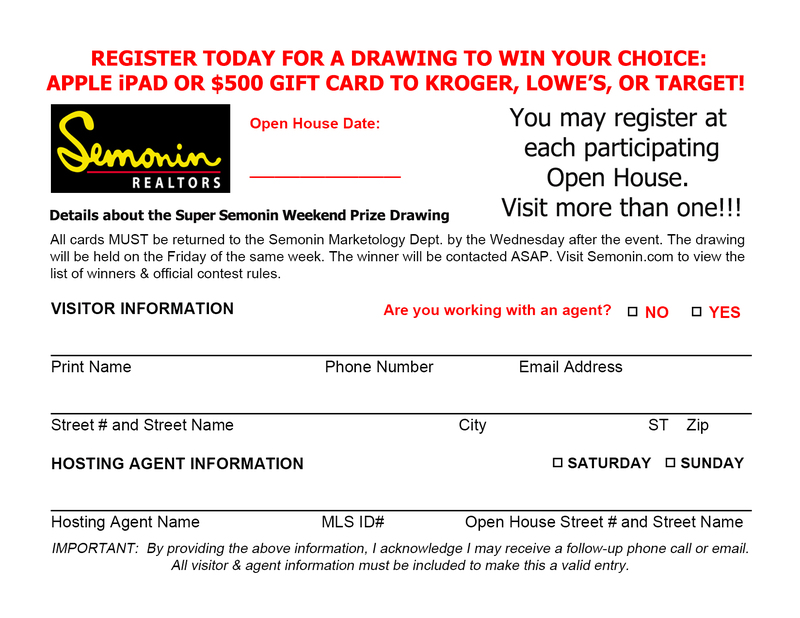 Official Contest Rules: Visitors attending a Semonin Realtors open house on Super Semonin Weekend participating in the prize drawing hosted by a Semonin agent may fill out a registration card. Registration valid only if visited an open house on a Super Semonin Weekend date. Official registration card must include registrant’s name, phone number, address, and email address in order for them to be contacted should they win. Visiting multiple Super Semonin weekend open houses on the same day is allowed but only one (1) entry is allowed per person per open house visited. The Semonin hosting agent shall return the original registration card to the Semonin home office Marketing department by the Wednesday after the Super Semonin Weekend event. On the following Friday, one winner will be selected in a random drawing among all eligible enteries. The winner shall be contacted and presented with the prize in person. By accepting the prize, the winner agrees that Semonin Realtors may use their likeness in promotional pieces. Super Semonin Weekend takes place on one selected weekend per month. No purchase necessary to enter or win. Must be over 18 to enter. Employees or sales associates of Semonin Realtors not eligible. Odds of winning depend on the number of eligible entries received. No substitutions allowed by winner. A list of previous winners can be provided upon request.